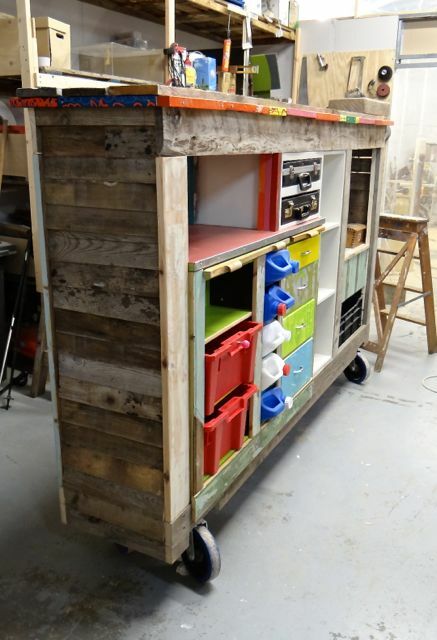 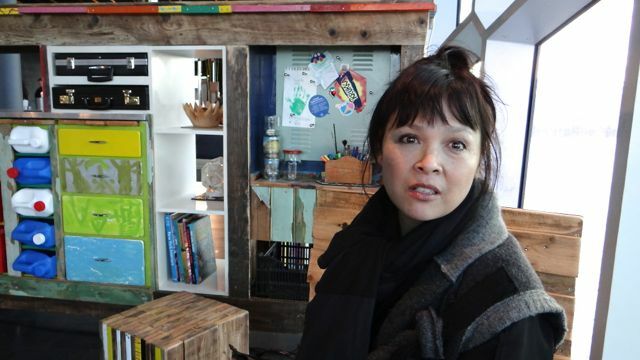 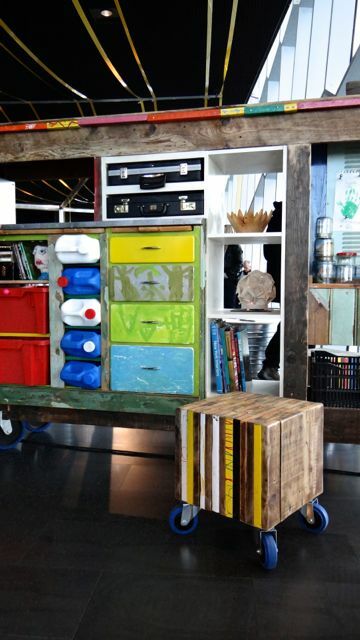 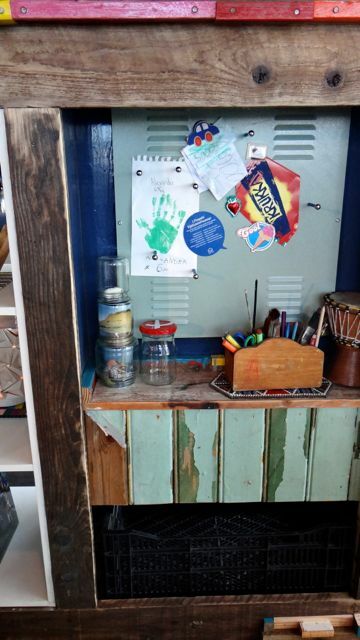 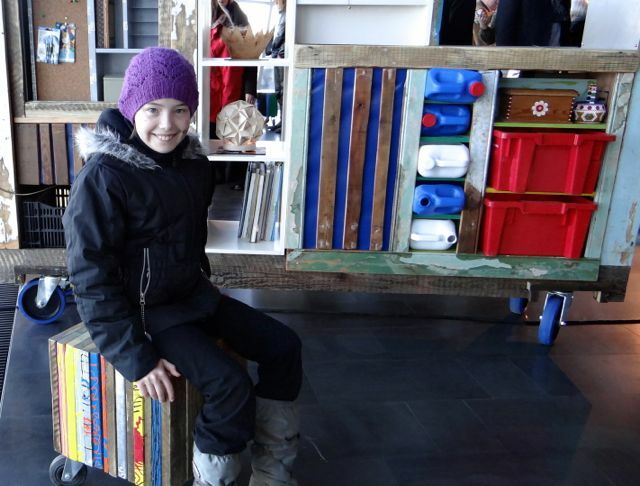 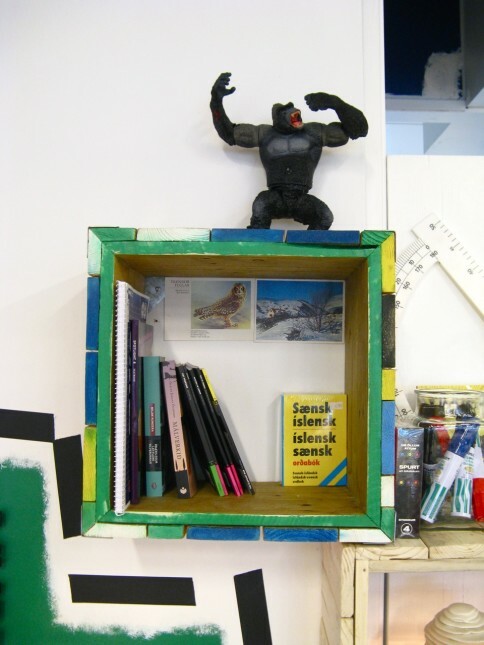 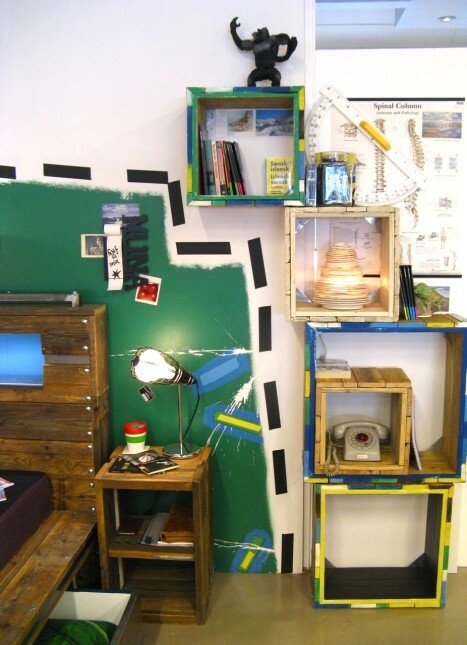 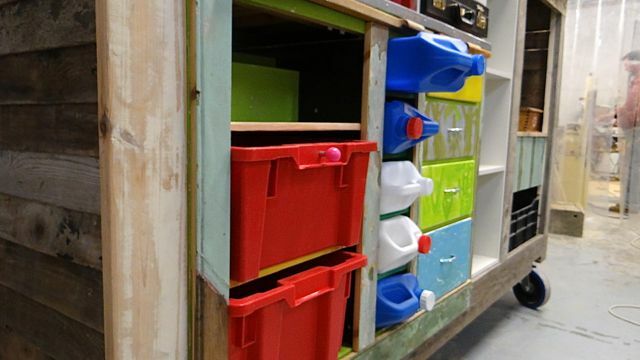 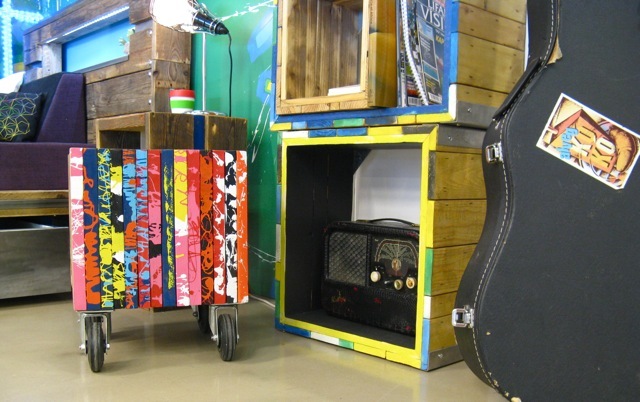 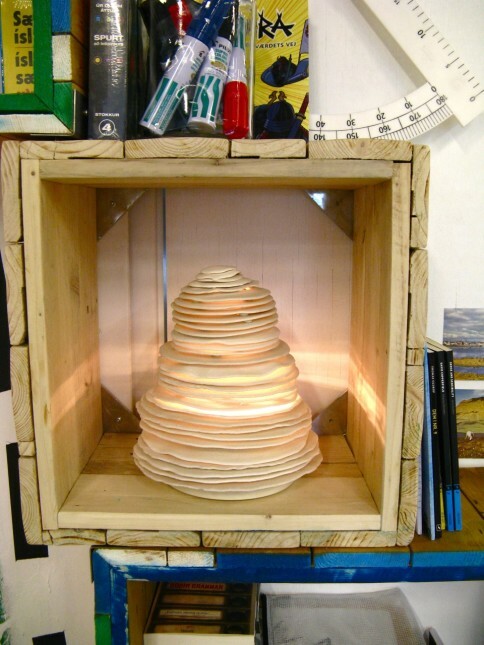 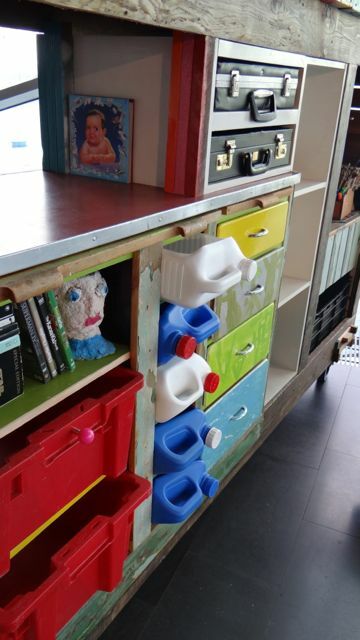 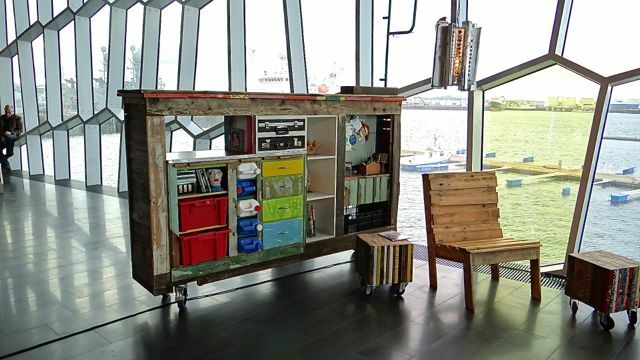 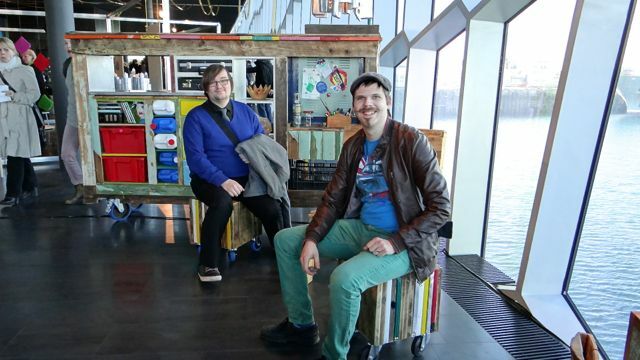 An eclectic shelving unit on wheels, put together with various re-used items e.g. 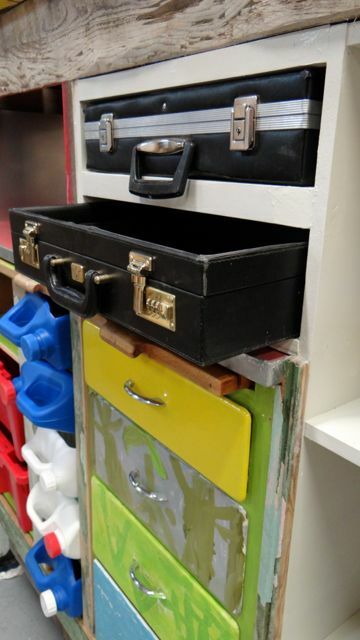 old briefcases and plastic containers made into drawers. 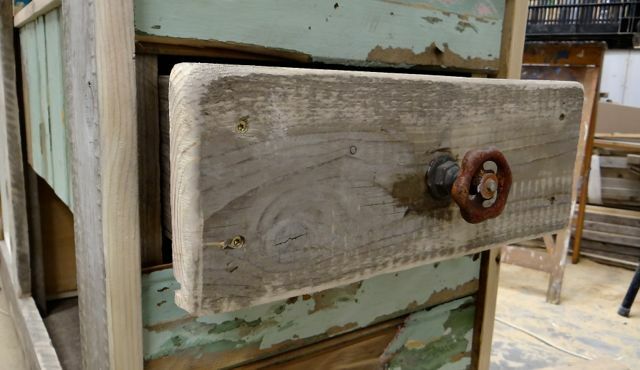 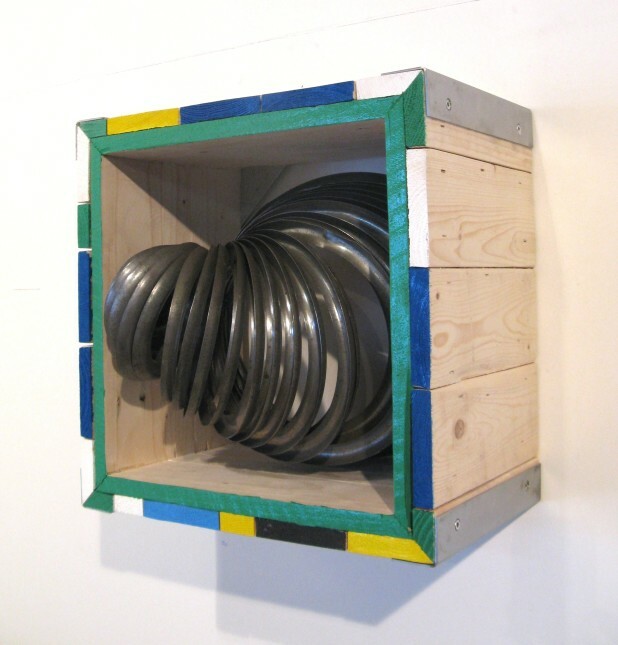 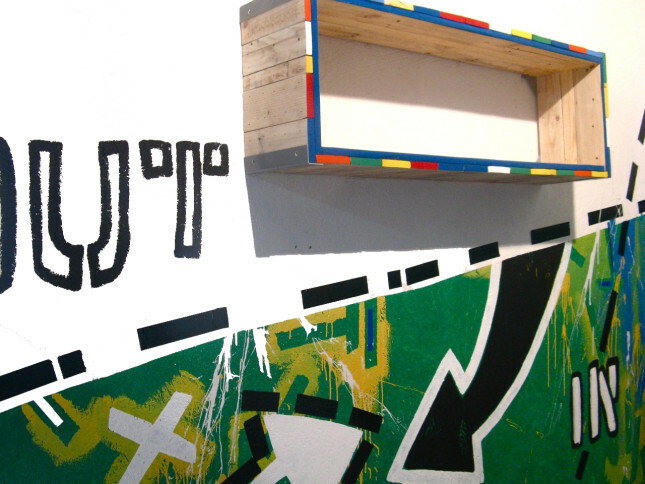 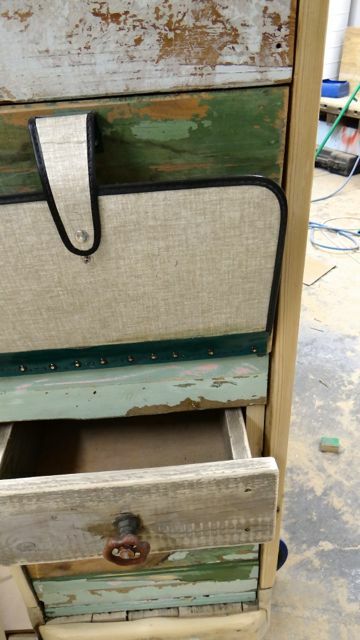 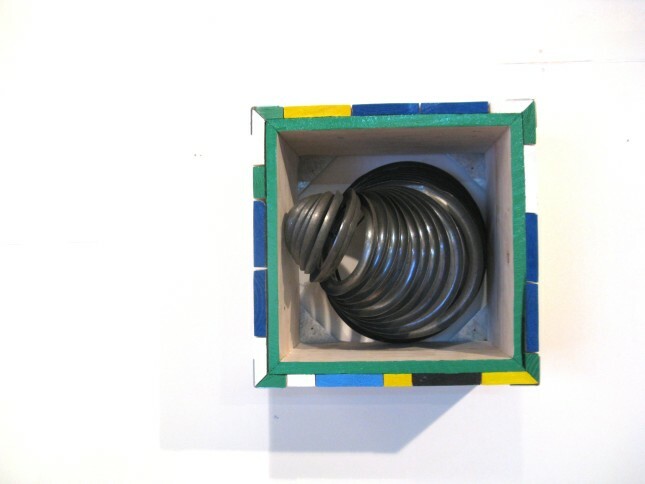 A chest of drawers, pulled from the rubbish was also integrated.